A dog banned from Durango in 2015 was found earlier this month in town, putting Animal Protection and a municipal judge in a tough spot to decide the animal’s future. A 5-year-old pit bull mix – the only dog that’s ever been banned from Durango city limits – showed up in town earlier this month, and the outcome doesn’t look good. Issues with the male pit bull, Ozzy, date to 2013 and his first owner, Kevin Chuvala, who could not be reached for this story. According to court records, Ozzy was impounded in April, June and again in August 2013 for running at-large (essentially off leash). In four separate incidents in September 2013, the dog attacked a pedestrian, jumped a fence and attacked another dog, got into a dog fight and attacked another dog. As a result, Ozzy was listed as a vicious dog, which means the owner was required to keep him in proper confinement so he couldn’t escape. But in October 2013, Ozzy was seen running off leash at Santa Rita Park and he was picked up and impounded at the Humane Society. A court order in November 2013 said Chuvala had to give up Ozzy. A friend of Chuvala’s, however, ended up adopting Ozzy and giving Ozzy back to him, which was confirmed when Ozzy was seen at-large again with Chuvala in June 2014. In April 2015, Ozzy escaped the yard and attacked a small dog, also biting the owner of the small dog. 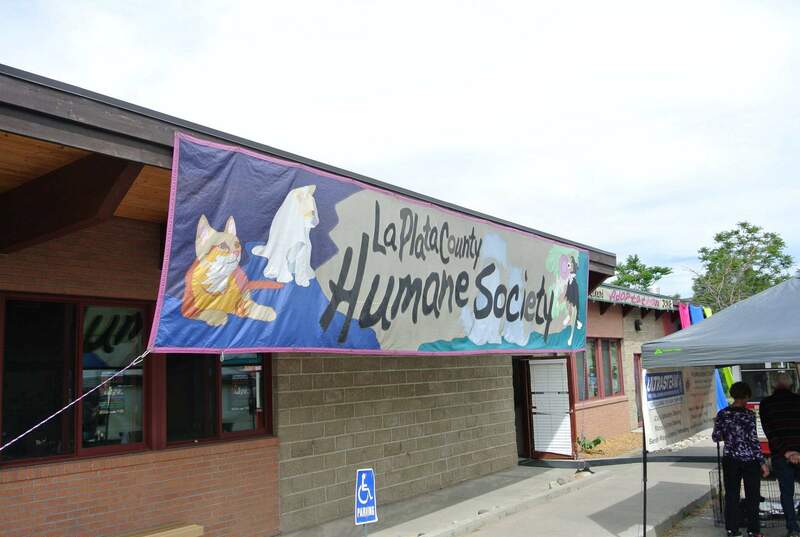 Ultimately, Durango Municipal Court Judge Jim Casey decided against euthanization. Instead, he ordered Ozzy be relocated to Chuvala’s brother’s home in Texas, but with one major condition: “Should Ozzy be located within city limits of Durango at any date in the future, following his release to go to Texas, he shall be immediately impounded and the stay on his euthanization shall be lifted,” Casey wrote. Casey did not return calls requesting comment for this story. How Ozzy ended up back in Durango is both random and murky, Nelson said. It appears Chuvala took the pit bull to Texas but, at some point, moved to Albuquerque. Nelson said Chuvala gave up Ozzy to an animal shelter in Albuquerque. Then, it looks like the person who adopted Ozzy in Albuquerque gave him to a friend, who coincidentally lives in Durango. Around 2 a.m. Dec. 7, Animal Protection responded to a call of a dog off leash outside a business. The dog was impounded, and Humane Society staff scanned the dog’s identification chip, and it was the same pit bull, Ozzy, that was banned in 2015. Nelson refused to release the name of the current owner but said he is part of the homeless community in town. Ozzy was going by a different name, and the current owner told Nelson he did not know Ozzy was banned from Durango. It is unclear if the current owner knows Chuvala. “It’s hard to get the details out of him,” Nelson said. Currently, Ozzy is impounded at the Humane Society, and what to do with him is still being decided. The only two options appear to have Ozzy live in a shelter the rest of his life or euthanization. It’s a call Judge Casey will ultimately have to make. David Edelstein with Team Pit-A-Full, an advocacy group for pit bulls based in Denver, said Judge Casey’s original decision to put off euthanization was “extremely generous” and gave Ozzy a second chance. This time around, it may not go so well, he said. Edelstein said it may be possible to send Ozzy to an out-of-state shelter or rescue. A group would have to step up and take on that responsibility. “Even at 5 years old, with a history like this, it’s never too late” to rehabilitate the dog, he said. Nelson said it’s a tough situation. The dog is sweet around people, he said, but it doesn’t get along too well with other dogs.